It is available in low cost binary packages for Linux or Windows. Source code packages for development are optionaly available, and developed solutions are also possible. The EtherCAN CI-ARM9 Ethernet to CAN gateway is ideally suited to use with the Modbus CANopen TCP CiA 309-2 gateway software, with Ethernet Interface, 454MHz Freescale ARM9 CPU, and acces to embedded software development toolchain for developing own embedded Linux applications on the ARM9 processor. 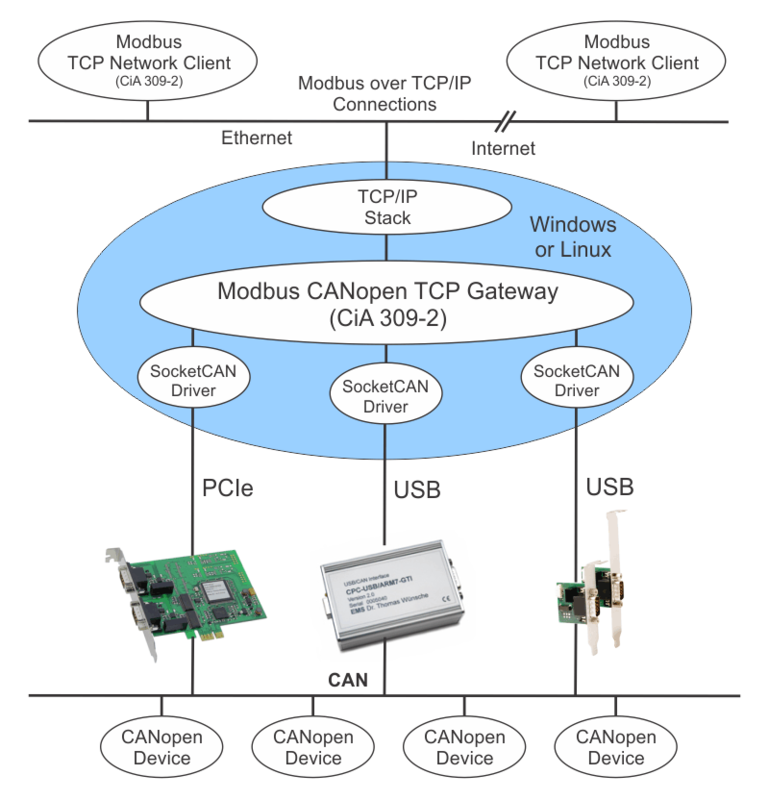 Also available as source code, the Modbus CANopen TCP Gateway (CiA 309-2) can be ported to platforms that have a CAN interface and a TCP/IP stack with BSD sockets. The CANopen component of the gateway consists of the emtas CANopen Master Stack. Optionally, the gateway can be extended to accomodate specific needs. Please contact Traquair to discuss requirements. All further CiA309-2 commands for the configuration of the gateway are also available.